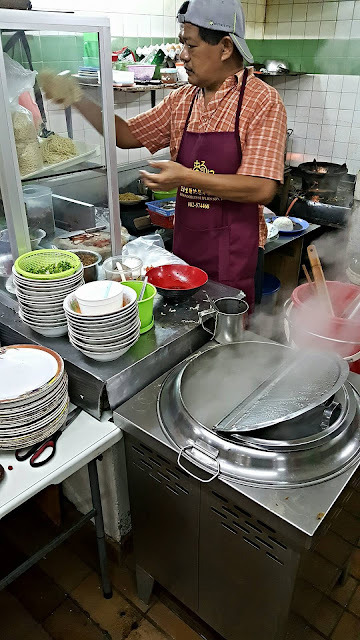 I survived the hotness in Malaysia: Where to go if you're craving for Kolo Mee late at night in Kuching? Where to go if you're craving for Kolo Mee late at night in Kuching? Kolo Mee is one of the most prominent, much-loved traditional foods in Kuching. 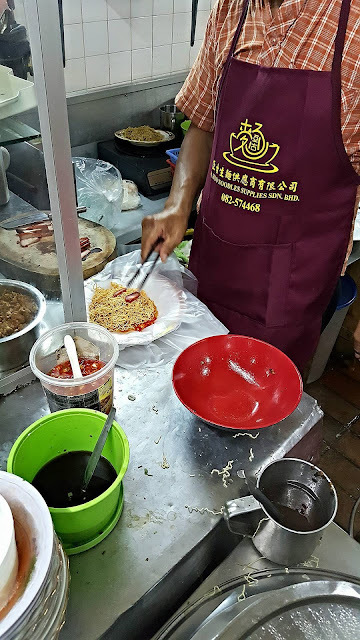 It's basically prepared by blanching egg noodles, and then tossing them with Char Siew oil (red colour oil dripping from barbecued pork). 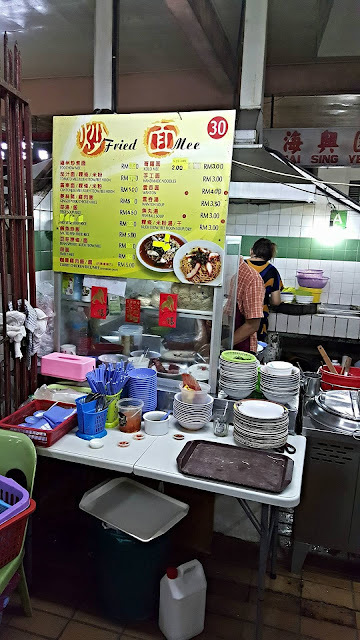 The dish is typically garnished with minced pork, Char Siew (barbecued pork slices) and finely-chopped spring onions though the ingredients may vary in some other places. 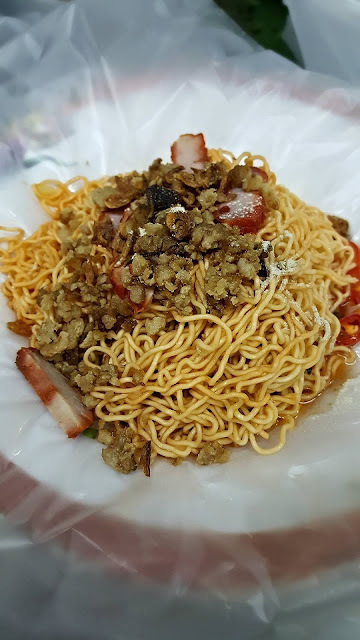 For the uninitiated, Kolo Mee is also called Sarawak Mee in some other states in peninsular Malaysia. 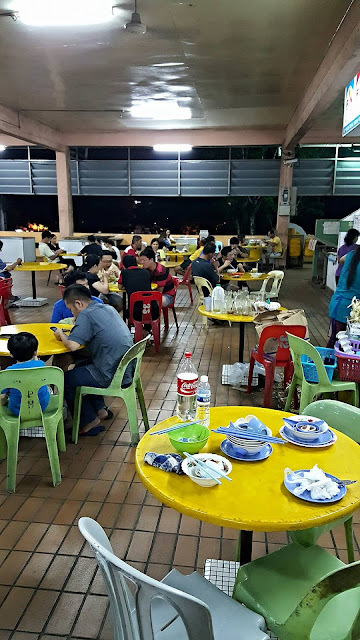 So the question boils down to: Where to go if you're craving for a NICE plate of Kolo Mee late at night in Kuching? It has been around for almost 28 years, and there are lots of parking spaces here so finding a vacant one shouldn't be too much of a hassle. There are an array of hawker stores in the second floor. Some of the hawker stalls are open until past midnight. 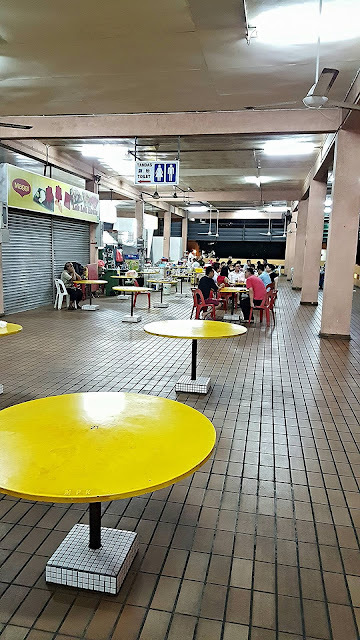 The hawker stall that sell very nice Kolo Mee is located towards one end of the second floor. 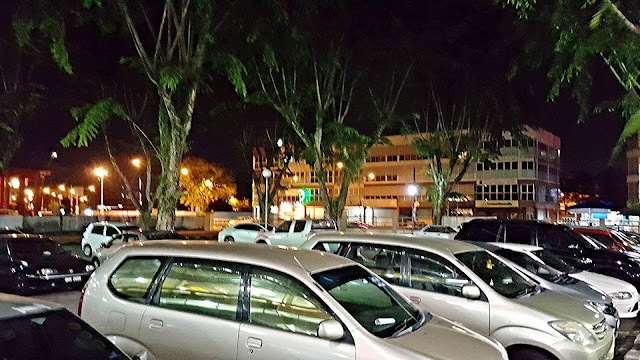 It was already 11 p.m when I was there. There were quite a number of patrons at that time, all craving for their famous Kolo Mee. I just had my dinner and since I was still full so I decided to order a takeaway instead of eating there. 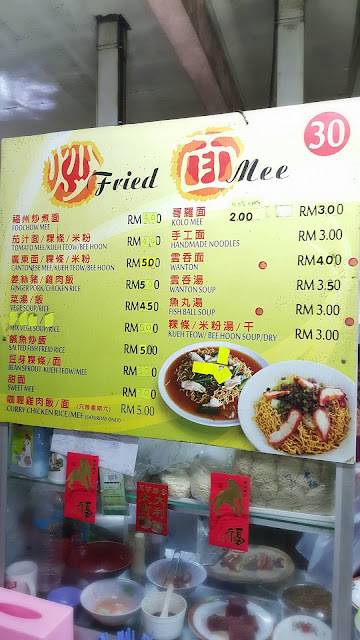 There's a price list so I snapped a photo for your reference should you need it. 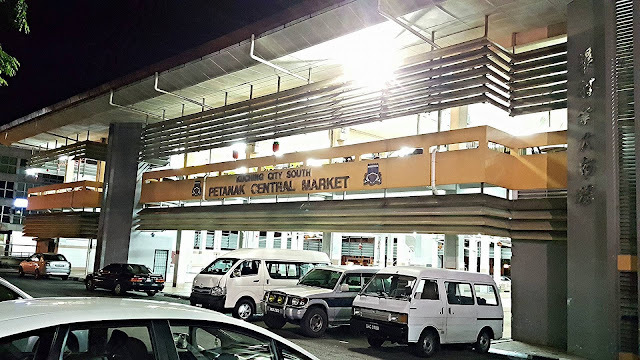 The stall is open from 7 p.m. until 2.30 a.m. daily but closed on Sunday. The first step in cooking a plate of mouthwatering Kolo Mee is plunging a fistful (that's the rule of thumb in quantity control) of egg noodles into pipping hot boiling water. 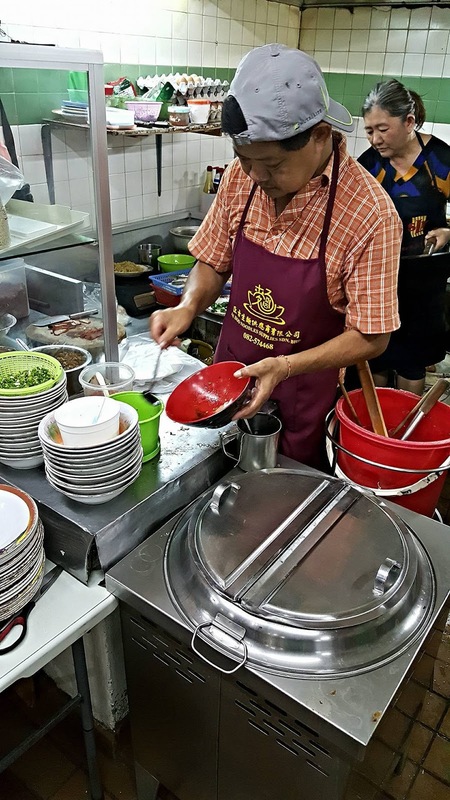 While waiting for the noodles to be cooked, add Char siew oil, pork lard and taste enhancers like MSG, salt as well as light soy sauce into a bowl. After the noodles is cooked, sieve the noodles and throw it into the bowl. Then, tossed the noodles with all the fat and spices thoroughly. Lastly, garnish it with barbecued pork slices! There's nothing fancy about Kolo Mee on the outside (just a plate of plain looking not-so-special noodles). But believe me, human's eyes are deceitful, your taste buds will tell you everything once you try it out! 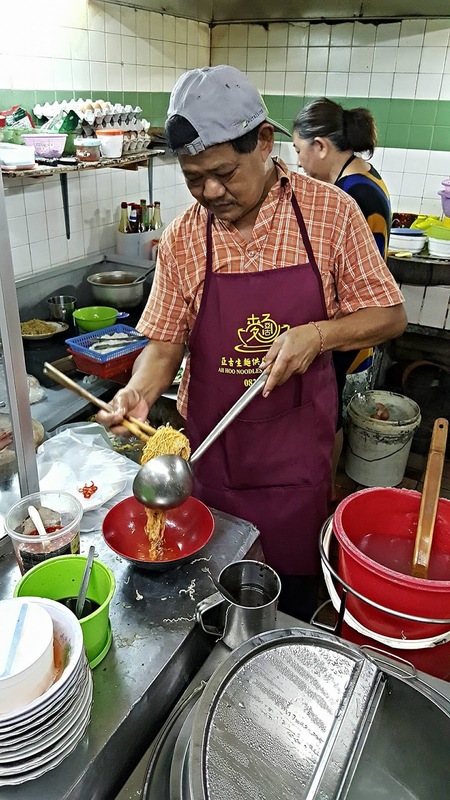 After all, there must be a good reason why Kolo Mee is so many people's all-time favourite in Kuching. I didn't get to eat any kolo mee in Kuching this trip...but we did head towards the direction of Petanak though we did not go that far - for the Kuching laksa at a shop on the way - watch out of the post on it, coming up in my blog real soon - tomorrow. I think. 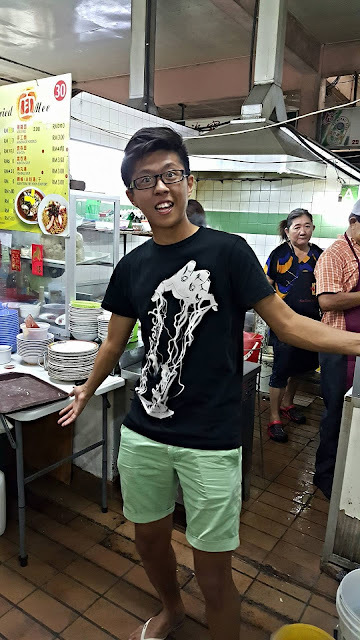 Aw a trip to Kuching isn't complete without eating Kolo Mee! 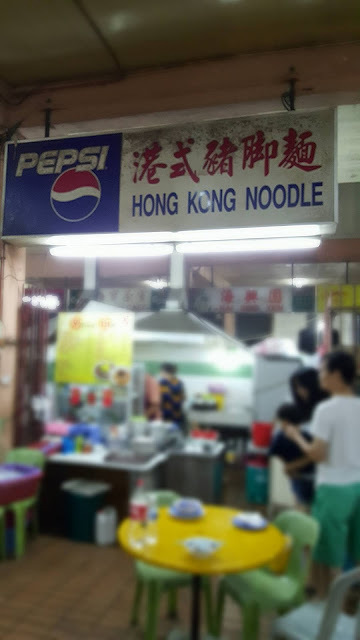 I'm gonna check it out now!